Spirit Taekwon-Do. Wellington Martial Arts Classes – Taekwon-Do for Self-Defence, Fitness and Fun! I love getting fit again (cause I really missed it when I wasn't making time for my own fitness), and it gives me more time with my beloved friend and partner. And in particular what I love about TKD is spirit of community. The 'culture' is a really welcoming feeling and sense of belonging. I love doing Taekwon-do because it's fun, challenging and rewarding. I get to train with lots of great people and be part of a community, work hard to progress further through Taekwon-do and am rewarded with fitness, confidence and new skills. We have a specially designed beginners class which runs regularly throughout the year. These short-course classes are designed for people who want to give Taekwon-Do a go, and would like to get a bit of a feel for it before they jump right in. It is also an ideal way for a family or a group of friends to get an introduction to Taekwon-Do together. Taekwon-Do is the modern form of ancient Korean martial arts and Japanese Karate. The founder of Taekwon-Do, General Choi Hong-Hi, combined the various martial arts that he had studied into one martial art, Taekwon-Do, by refining the best techniques from each of those arts and applying scientific formulae and military tactics. General Choi then proceeded to introduce Taekwon-Do around the world, culminating in the formation of the International Taekwon-Do Federation (ITF). 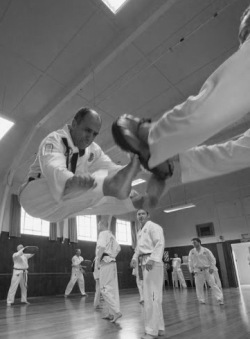 Taekwon-Do is famous for its spectacular flying kicks. However Taekwon-Do is much more than just that! The physical movements of Taekwon-Do are taught in a systematic fashion, allowing anybody to start training at their own level. The process of training in the martial arts develops much more than physical ability though. Through the discipline of training over a period of time the student will develop a strong morality and high self esteem. This is particularly important for children, who can learn many important life skills through training in Taekwon-Do. Taekwon-Do teaches practical self defence, and promotes physical fitness, courtesy, integrity, perseverance, self control and indomitable spirit. Taekwon-Do is many different things to many people. Whether you are wanting to get fit, learn a martial art, learn self defence, or to have a new challenge and a bit of fun, you will find what you are looking for in Taekwon-Do. Taekwon-Do is suitable for all ages, and often you will find entire families training together. Children under 10 have gained black belts in Taekwon-Do, as have people in their 70s. Taekwon-Do, like most martial arts, has a very strong moral culture, infused into the art by the founder, General Choi Hong Hi. While learning how to apply strikes, punches, kicks and blocks in self defence, the student will also be learning the tenets of Taekwon-Do. Through the discipline of martial arts training over a period of time the student will develop a strong morality and high self esteem. This is particularly important for children, who can learn many important life skills through training in Taekwon-Do. Darren Ward started training in 1991, aged 14, at Miramar club in Wellington. He graded to 1st Dan in 1994 and graded to his 6th Dan in 2016 in Wellington. In recent years Darren has represented New Zealand as an umpire at the ITF world champs. 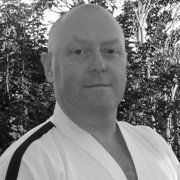 He is currently a member of the Tournaments Advidor Group and a 6th Degree Black Belt. Brett Kraiger has been doing Taekwon-Do for more than 25 years and instructing for more than 20. He opened the original Spirit Taekwon-Do school at Brooklyn in 1995. He has a particular interest in the technical side of Taekwon-Do, including patterns and the theory of Taekwon-Do movement. 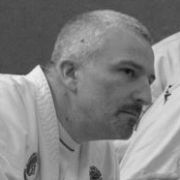 Mr Kraiger is also passionate about how training in Taekwon-Do can develop skills applicable in day-to-day life. He currently holds 5th Degree Black Belt. 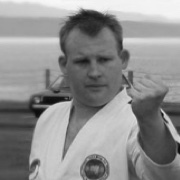 Simon Lloyd-Evans began his training in the UK when he was a teenager, where he achieved a rank of Blue Belt. When he got to NZ he decided to start training again but it had been over 10 years since he had trained. He decided to start at white belt again in 2000, at the age of 30, and received his 1st Dan Black Belt in November 2003. He is now a 2nd Degree Black Belt.